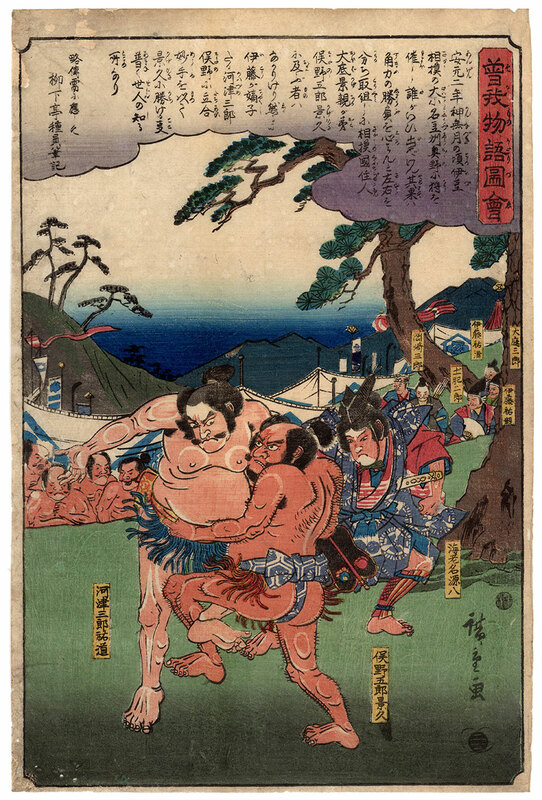 The sumo match depicted in this woodblock print is «the most important and famous that has taken place in Japanese history, so much so as to go beyond the limits of anecdotes to enter the ambit of the most classical mythology of the far eastern archipelago» (Francesco Morena). 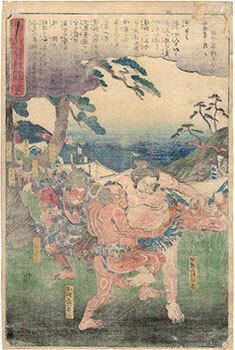 The two opponents are on the left Kawazu Saburo Sukemichi (河津三郎祐道), father of the famous Soga brothers (曽我兄弟), and on the right Matano Goro Kagehisa (俣野五郎景久). 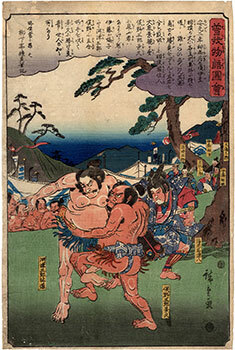 The match took place in 1176 on Mount Akazawa (赤沢山), in the presence of Minamoto no Yoritomo (源頼朝). In the epic fight Kawazu prevailed, but he would be assassinated the following year, with the probable complicity of Matano who had failed to accept that scorching defeat. 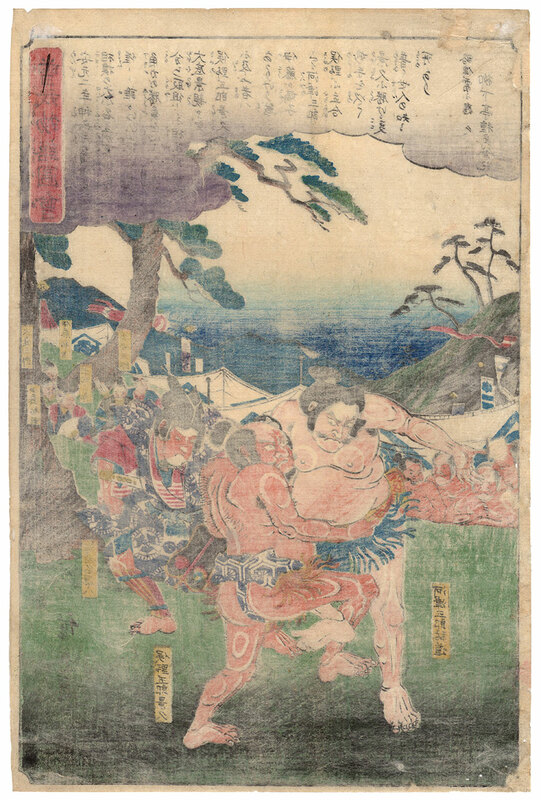 The work presented here is taken from the series "The Tale of the Soga Brothers in Pictures" (曽我物語図会) and was made around 1845 by the artist Utagawa Hiroshige (歌川広重) in collaboration with the publisher Ibaya Senzaburo (伊場屋仙三郎), owner of Dansendo (団仙堂). The precious print on Japanese washi paper (和紙), despite the presence of some restorations and small holes, is in overall good condition.